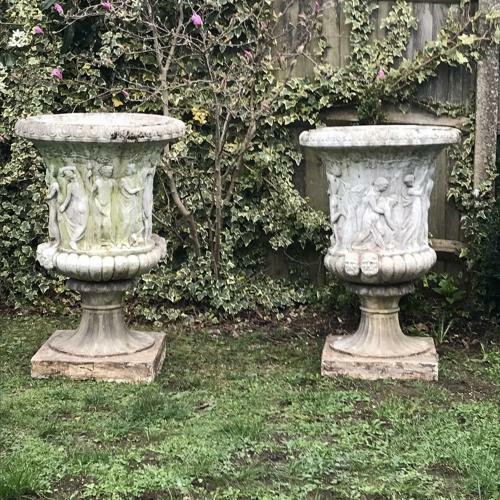 Pair of large relief moulded Classical Urns c1900. Each is supported on a seperate soccle base the front of each is heavily decrated with figure od classical maidens. Both are nicely patinated with signs of lichens and Moss. in good condition.